Hey thank you for your testing. I made a clean install on my second PC and copied the SAVEGAME but it crashs there too. Have you an idea, what the matter is? Edit: Sorry but i was't sure if it's relevant: I have an original German version and after Rp 2.3.3 Installation i rename the data/Text/Englisch dir to data/Text/German. I currenty have tested it with German and English but both crashs. Unfortunately, no. I don't know your OS, FO2 version, and how/where you installed the game itself (not RP). I'm using Win7 Ultimate x64. My FO2 is manually installed from the original US English CD, and in "E:\Fallout2" directory. My primary machine has Windows 7 SP1 Ultimate x86 and the Installation is made in C:\Games\Fallout_2. My secondary machine has Windows 7 SP1 Ultimate x64 and GameDir is C:\Games\Fallout2. I Installed FO2 and RP with autoinstaller. When i start the game it displays 1.02.31 RP 2.3.3 SFall 3.3 ([a] or something like that, its to smal to identifiy) in the right corner. I'am sure the FO2 installation is German 1.0, the cd is very old -> i made a iso image of the cd years ago. The German version was censored and is missing some stuff. Pretty sure you need the blood patch to get it working properly with the RP. Just popped in to say congrats on the new "final" release. Won't have time to play now but will be looking forward to the next one. Thanks for the tip Darek, NovaRain. I have downloaded the US version and it works now. Killap, appreciate the Restoration Project. By the way, how many levels do you have to gain before your companions gain a level? lujo Look, Ma! Two Heads! First build out, enjoy (hopefully and if we've managed to get all the bugs out). Don't really know if it's the right place to ask, but is it normal that the whole town of Broken hills turns hostile when I chose to turn down on Jacob? Because it's not really logical. Guess that's because he's not found guilty yet, other townspeople would still consider him a "good guy" and be on his side. Well I am back... guys, I remember that it was possible to sell out Thomas Moore to the First Citizen, but at my last two playthroughs I couldn't do that anymore.. It's possible, right? Maybe you can only sell him out after you delivered the briefcase? After you've made the delivery and learned Moore is an NCR agent, you can turn him in to Lynette for 500 xp. I see no problem with this since Moore is a fanatic, you don't lose any karma, and Bishop doesn't care. 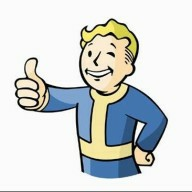 Just don't mention brahmin maulings or you won't be welcome in Vault City for much longer. If you're not a citizen you can only do this when you show Lynette Bishop's Holodisk. Maybe a stupid question but something that has been bothering me for a while and I cant quiet figure out. After completing "Guard the Brahmin" in Klamath, where does Torr end up? he disappears from my Klamath. Is that intentional? Does he remain at Torr's Camp? As far as I can remember from Vanilla he remains in Klamath after completing the quest. He stays in the grazing grounds after completing the quest, just like in vanilla. I don't know but I can't talk with him, it seems to me he is bugged but I'm not sure how to solve it. He is standing and I can't talk with him. How to increase the frequency of random encounters? I found only in ddraw.ini speed on the world map, but not the frequency of meetings. Open worldmap.txt and edit the lines below "Encounter frequency percentages". hi all, i haven't played fallout 2 since the last official patch release and just heard of the RP. I'm new to the fallout restoration project and i've managed to get it mostly working through WINE on OS X using the GoG.com version of the app but I'm running into a problem with being unable to scroll the Temple map at all. I've tried running the base GoG version as well as GoG + Killap's unofficial patch and those work well without any issues on the Temple map. The problem seems to be something to do with the hires patch and/or the way it interacts with the restoration project as installing the Killap unofficial patch w/ the hires patch option (in legacy mode as i am running OS X) also causes the Temple map to be unscrollable. I'm on OS X 10.9 using the GoG wrapper for Fallout 2 which is running the WS8Wine 1.1.44 engine. I could upload a save if it would help but it literally happens on the second map of the game so I'm not sure what data it would have. thank you in advance! also if this isn't the place to ask about it if you could direct me somewhere better it would be wonderful! Seems it has been a while since I visited here, as you have updated this mod since I last downloaded it. Huge kudos to you man, seriously! Time to download this and have a go all over again! I just join the forum to say thank you. Amazing work that you've been developing here.